The class is just the right size. The environment is great, but the teacher is the best thing! He takes the time to make sure you understand what you did wrong and how to fix it and how to avoid it in the future. It was fun and very easy to understand even after the first day! I'm going to love tinting cars…thank you for all the help! Great class! Everything is broken down step-by-step for the best learning experience I EVER had. Great environment! Great food! Great teacher…he ROCKS! I loved the Automotive Course so much, I even added the Flat Glass Course as well to really become a fully versatile window tinter! 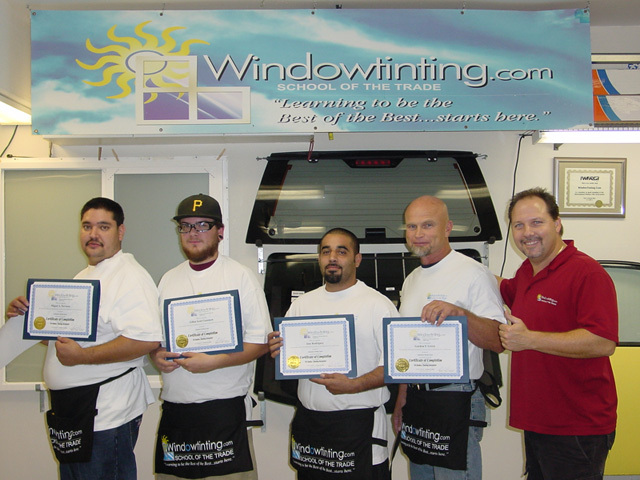 Robert has no doubt learned the best and easiest way to install window tinting. He is Very knowledgeable on the latest and best materials and tools to use. I enjoyed the class and can't wait to put what I have learned to work!